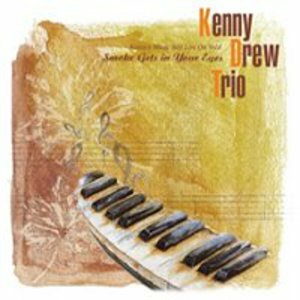 Kenneth Sidney (Kenny) Drew (August 28, 1928?August 4, 1993) was an American jazz pianist. Born in New York City, New York, he first recorded with Howard McGhee in 1949, and over the next two years recorded with Buddy DeFranco, Coleman Hawkins, Milt Jackson, Charlie Parker, Buddy Rich, and Dinah Washington. He then led many recording sessions throughout the 1950s, and appeared on John Coltrane's album Blue Train. Born in New York City, New York, he first recorded with Howard McGhee in 1949, and over the next two years recorded with Buddy DeFranco, Coleman Hawkins, Milt Jackson, Charlie Parker, Buddy Rich, and Dinah Washington. He then led many recording sessions throughout the 1950s, and appeared on John Coltrane's album Blue Train. Along with several other American jazz musicians who went to Europe, in 1961 he moved to Denmark. While he sacrificed much of the interest of the American jazz audience, he gained a wide following across Europe. Kenny Drew was a well known figure on the Copenhagen jazz scene, recording many sessions with the Danish bassist Niels-Henning ?rsted Pedersen. On his passing in 1993, Kenny Drew was interred in the Assistens Kirkeg?rd in the N?rrebro section of Copenhagen.